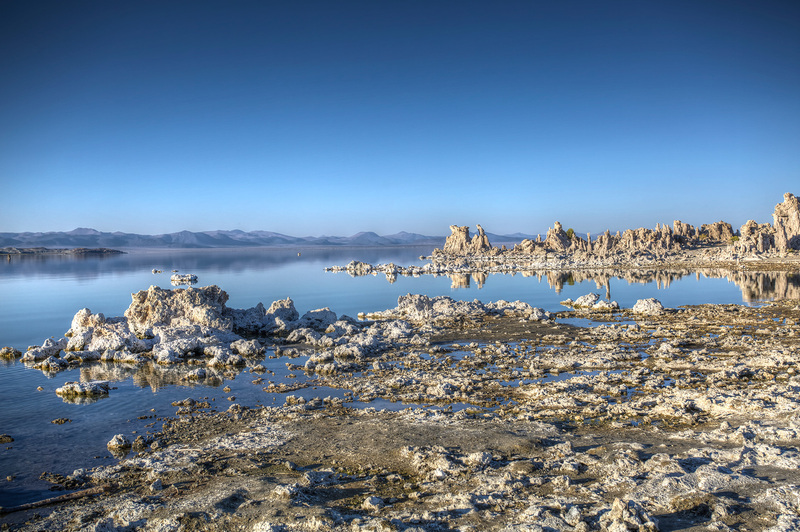 It’s a long drive from Great Basin National Park to Mono Lake, and, unless you’re lucky enough to be the passenger who can doze off regularly, you try hard to find something interesting to keep yourself from dozing off while staring at 50 miles of highway stretching straight into the distance. I focused on the mountain ranges and rugged rock formations which often struck me as beautiful and gave me an occasional reason to stop, stretch my legs and grab a quick shot. Unfortunately, with so many miles to cover I didn’t feel I had time to actually take a side trip and explore some of the mountain ranges I saw. If the new Bad Elf that I had received just before I left on the trip hadn’t been defective, I might have recorded the GPS of this shot and been able to remember more precisely where it was taken, though the time stamp indicates it was probably close to the Nevada-California border. There was a whole series of structures like this, a formation I don’t recall having ever seen before. 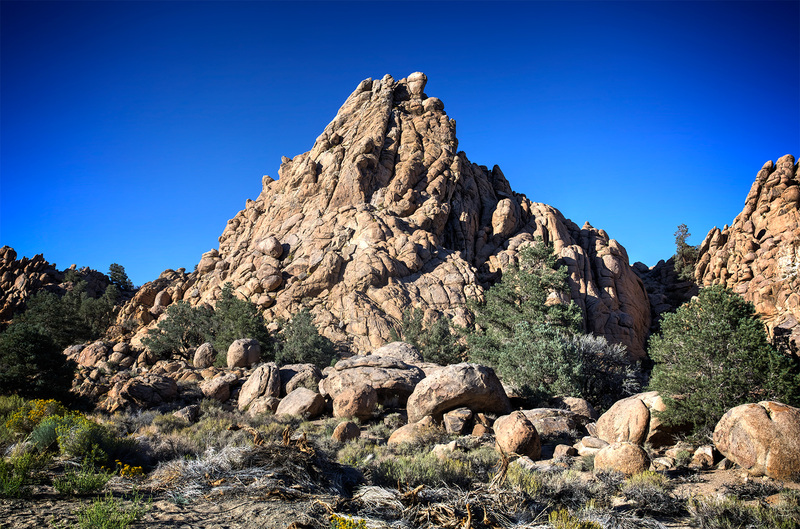 Of course, it is easier to see rock formations in Nevada and Eastern California than it is in the Pacific Northwest because they aren’t hidden by dense forests. I’ve been surprised by huge boulders while hiking Mt. Rainier, boulders I would never have seen from the road. 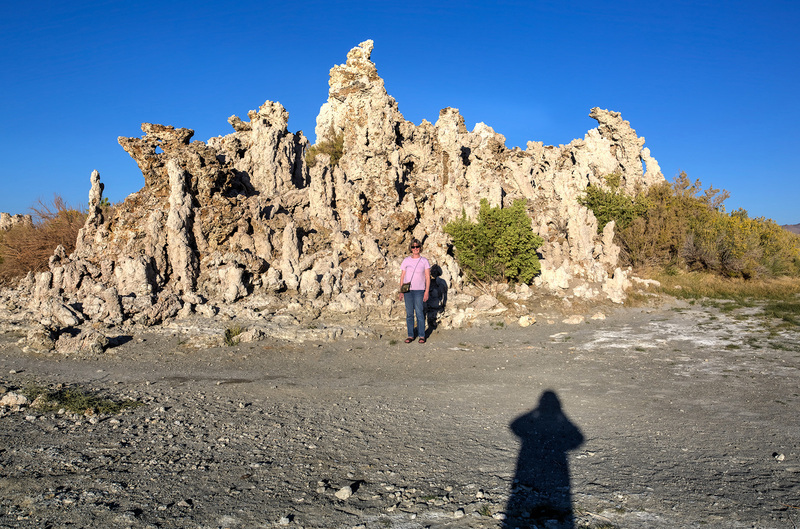 As it turned out, the rock formations were an interesting prelude to the Tufa Towers that I saw at Mono Lake. The mysterious Tufa structures were almost as fascinating as the caves we had seen earlier at Great Basin National Park, and at times looked somewhat similar, at least to me. It was past six when we arrived at Mono Lake, and although the sun was quite low on the horizon, I didn’t think we could wait until sunset to find a campground so I took these shots a little earlier than I really wanted to, especially having seen so many beautiful sunset shots taken at Mono Lake. 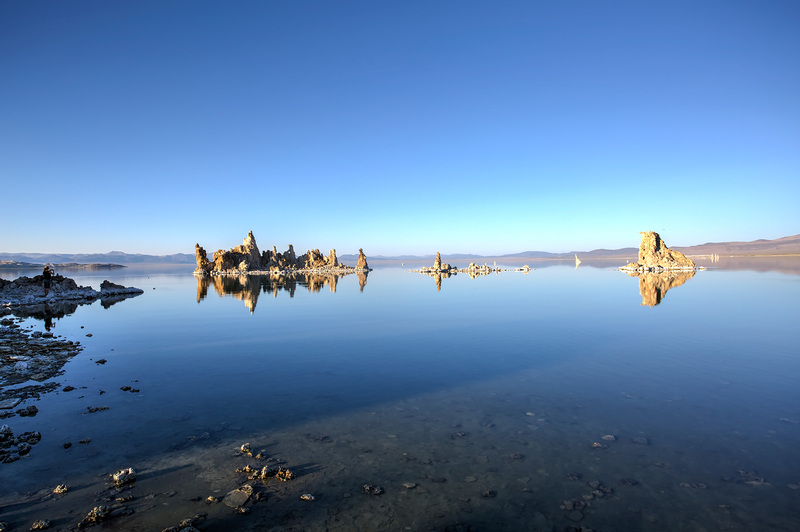 and the low sun gives a richer color to the Tufa Towers than I saw the next day in full daylight, particularly in this shot of Tufa Towers in the middle of the lake, where they almost seem to glow. though I’m still not sure I would call them beautiful. Perhaps the most striking thing about them is that they can only be formed under water. Those on the shoreline reveal just how far the lake has receded in recent years. 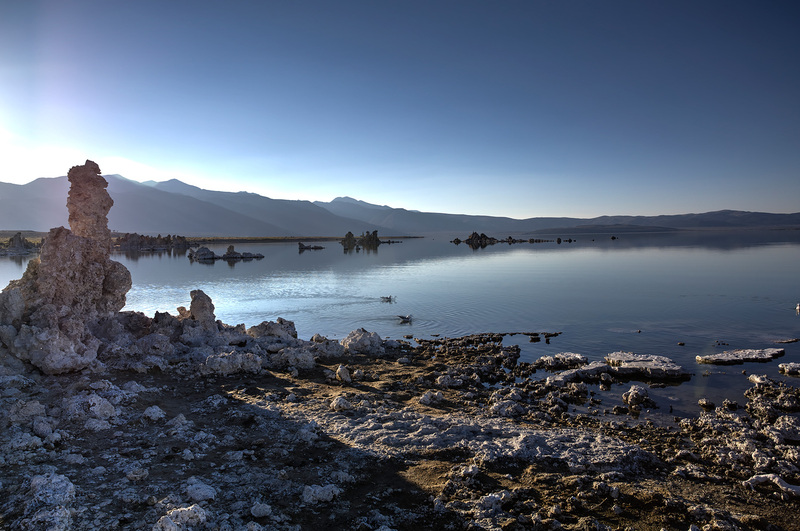 Los Angeles has diverted much of the water that used to flow into Mono Lake. The condition would probably be even worse but a judge mandated several years ago that the water levels must be raised back to a prescribed level in the next few years (though it’s not clear how the current drought might affect that ruling.) There were stakes at various distances from the current lake marking the depth of the lake at different times in the past. It was a real reminder of just how precious, and how precarious, our water supply really is.